Sign Language Custom Signs is owned and operated by Wolfgang Rittgers. 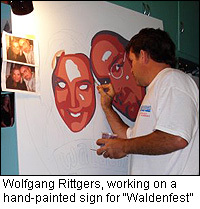 Wolfgang has been providing the La Crosse, Wisconsin area with quality, hand-crafted signs for nearly two decades. 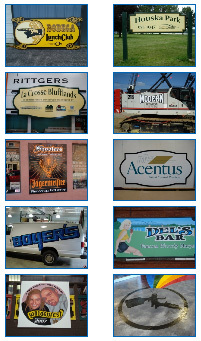 Please view the Portfolio page to see a variety of examples of indoor and outdoor signage, as well as vehicle lettering and other unique projects, that have been produced by Sign Language Custom Signs. You have likely already seen many of these creations as you drive around La Crosse. When you are ready for a quote for your next sign or lettering project, please contact Sign Language Custom Signs.